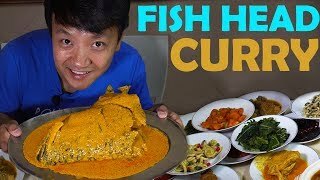 I’ve always loved curry and I’ve always loved fish heads, so fish head curry would naturally be one of my favorite foods to eat - there’s nothing not to like about digging out little bits of fish from all the crevices, while sucking up all the curry sauces. We checking out three different fish head restaurants in Kuala Lumpur, each serving a totally different style of fish head. 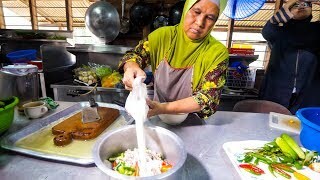 One of the most legendary Malaysian street food stalls in Kuala Lumpur is Annuar's Fish Head Curry, also known as the Bangsar fish head corner. Mr. Annuar is an amazing hard working man who has been selling his south Indian Muslim style fish head curry for a long time and has a loyal following. 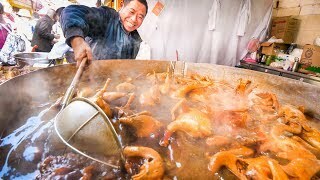 He’s also known for his affordable prices and his fried chicken. The staff were all incredible nice, and their fish head was amazing. I also especially loved the fried chicken with the fish head curry sauce on top. Mr. Annuar would not charge us for our meal, thank you! Next we went to Tugu View Cafe, an amazing local Malay food restaurant on top of a hill in the middle of Kuala Lumpur, although it felt like you were in the middle of a mountain park. 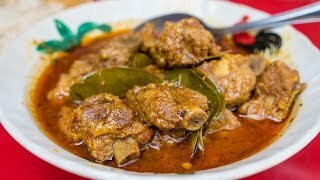 They serve all sorts of Malaysian food, but their most famous dish is their Malay style fish head curry. 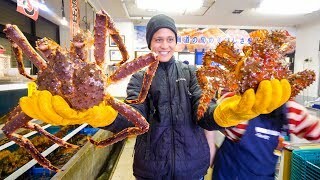 We met the chef of the curry, and I just asked him to choose us the largest size which happened to be a 120 RM fish head! Most of the others were 45 - 65 RM! This was probably the best fish head curry for me of this entire Malaysian food fish head curry tour. The complexity of flavor and the ingredients blew me away. 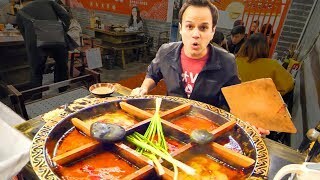 Finally to end this fish head curry tour, we went to a Chinese restaurant. So this wasn’t actually a fish head curry, but a steamed Chinese style fish head. They gave us not only the head, but really the entire body minus the tail. It was delicious, perfectly steamed with wonderfully fragrant ginger, and it was a perfect fish to end the meal with. 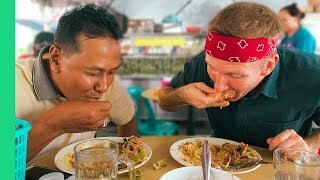 This was an amazing fish head curry Malaysian food tour in Kuala Lumpur! 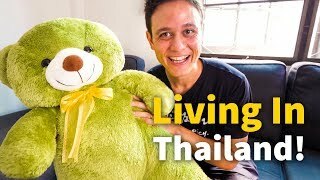 Living in Thailand - MY BANGKOK HOUSE TOUR | $601.69 Per Month in BKK + Cost of Living! 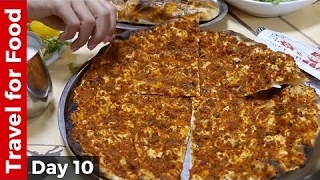 The Ultimate Istanbul Turkish Food Tour - JUICY Kokoreç, Balık Ekmek (Fish Sandwich), and Lahmacun! 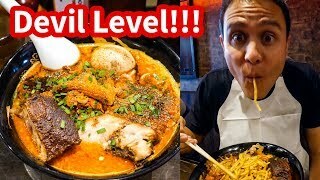 THE SPICIEST RAMEN in Tokyo at Karashibi Kikanbo - DEVIL LEVEL Japanese Food! 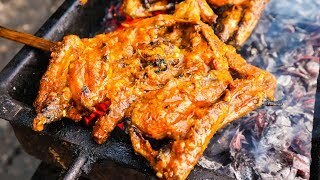 Ayam Taliwang - Super Spicy Street Food in Lombok, Indonesia! 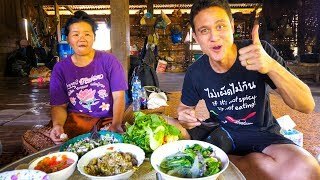 Laotian Food - STUNNING LAO FISH SALAD | Village Cooking in Laos! 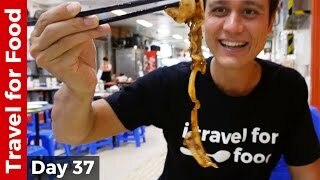 Hong Kong Food Tour - Breakfast, Bamboo Noodles Won Ton, and Chinese Dai Pai Dong Feast! 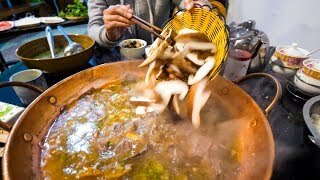 Chinese Street Food HOT POT HEAVEN + RABBIT Noodles and SPICY Dumplings in China - CHILI OIL 4 LIFE! 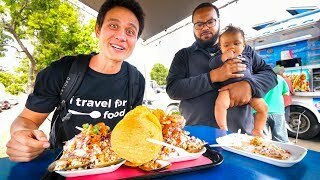 San Diego Food Tour - MASSIVE BURGERS and CRAZY TOSTADAS in California, USA! 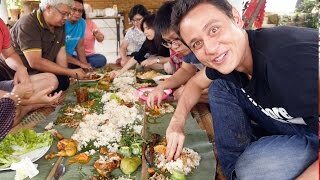 Royal Balinese Food - AMAZING INDONESIAN FOOD at The Palace in Bali, Indonesia! 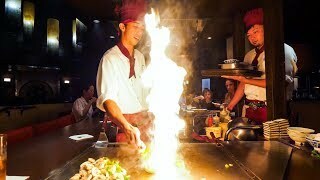 Teppanyaki LOBSTER & STEAK - Amazing Knife Skills and Fire Cooking in Waikiki, Hawaii!